Nha Trang is a coastal city as well as the center of politics, economy, culture, science and technology, and tourism in Khanh Hoa province, South Central Coast Vietnam. 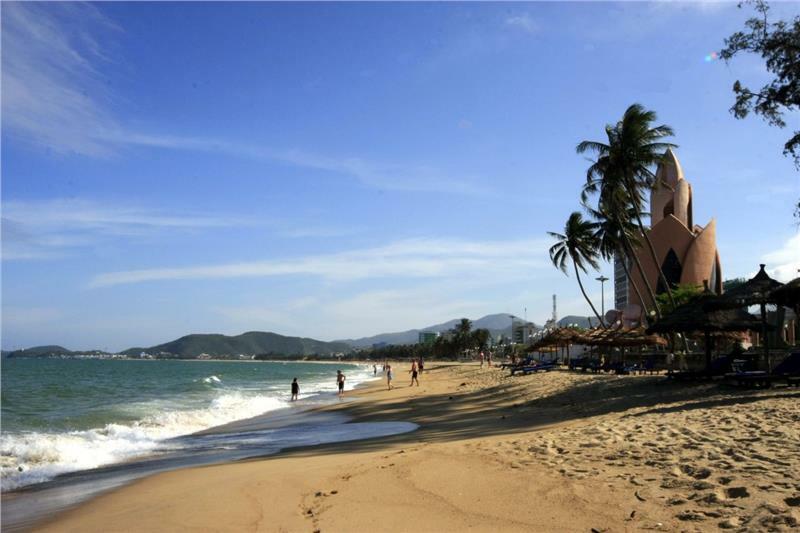 Nha Trang is also known as the pearl of South China Sea, a turquoise pearl thanks to the value of its natural beauty. Geographic location: Nha Trang city now owns a natural area of 251 km², adjacent Ninh Hoa town to the north, with Cam Lam district to the south, with Dien Khanh district to the west, and South China Sea to the east. 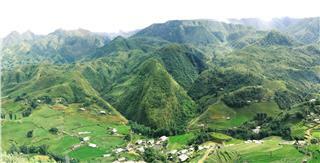 Terrain: Nha Trang terrain is quite complex with the height stretching from 0 - 900m above sea level. The terrain is divided into three topographical regions: Coastal plains occupy 32.33% of whole city area; transition region and low hills with the slope from 30 to 150 are mainly located in the west and southeast, accounting for 36.24% of the area, the mountain with steep terrain up to 150 is distributed in the north and south of the city, in Hon Tre Island and some rocks, accounting for 31.43% of the area. 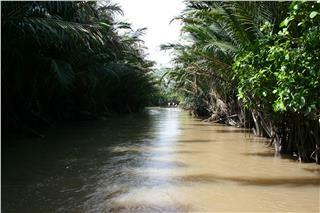 Climate: Nha Trang climate is the tropical savanna climate influenced by ocean climate. The climate in Nha Trang is relatively mild with the average temperature of 26.30C. There are some major characteristics of the climate in Nha Trang: year-round mild temperature (250C – 260C), quite distinct season distribution (rainy and dry season) and less affected by the storm. 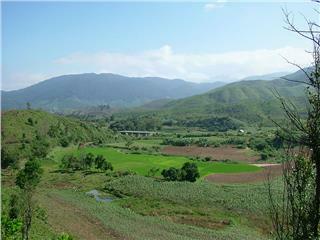 From 1653 to the mid-nineteenth century, Nha Trang was still a wild land area under Vinh Xuong district. With Decree on 30 August 1924 by Governor General of Indochina, Nha Trang became a town consisting of ancient villages: Xuong Huan, Phuong Cau, Van Thanh, Phuong Sai, Phuoc Hai. 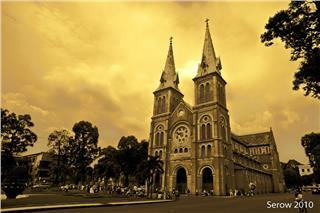 Under French colonial period, Nha Trang is considered the provincial city of Khanh Hoa province. On 7 May 1937, Nha Trang was designate to town. After the liberation of the South, undergoing through 2 times splitting and merging, Nha Trang was still the administrative center of Khanh Hoa province. According to the 2009 census, the population in Nha Trang was about 392,279 people, in which the urban population accounted for 74.6%, and the rest belonged to the rural population. 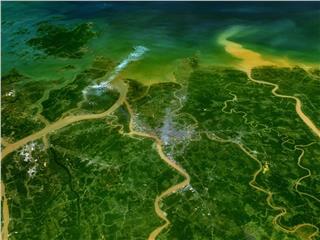 The average population density is 1,562 persons / km2. The population is unevenly distributed, concentrating mainly in the urban wards: Van Thang, Van Thanh, Phuong Sai, Phuoc Tan, Phuoc Tien. 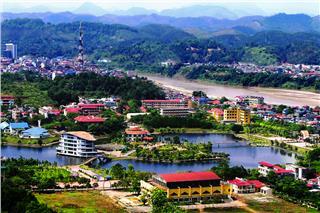 However, some communes with the mostly hight mountainous topography, namely Vinh Luong, Phuoc Dong owned a low population density, just about 320-370 persons / km2. 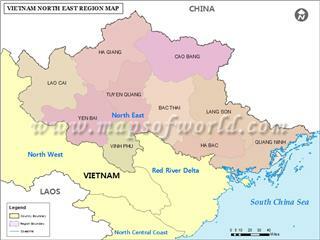 The Vietnamese is the official language and commonly used here. 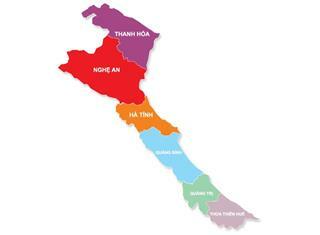 Nha Trang comprises 19 administrative units (19 wards), namely: Loc Tho, Ngoc Hiep, Phuoc Hai, Phuoc Hoa, Phuoc Long, Phuoc Tan, Phuoc Tien, Phuong Sai, Phuong Son, Tan Lap, Van Thang, Van Thanh, Vinh Hai, Vinh Hoa, Vinh Phuoc, Vinh Truong, Vinh Nguyen, Vinh Tho, Xuong Huan; and 8 communes: Phuoc Dong, Vinh Phuong, Vinh Thanh, Vinh Trung, Vinh Thai, Vinh Hiep, Vinh Ngoc, Vinh Luong. 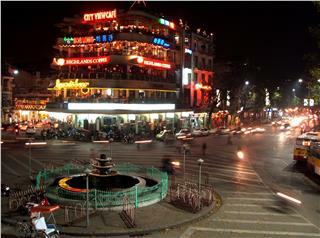 On 22 April 2009, Nha Trang city is recognized as urban center of grade 1 directly under Khanh Hoa province. Nha Trang economy is relatively developed in the Central region. 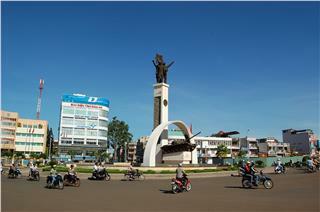 In 2011, GPD per capita in the city reached 3,184 USD. Economic structure gradually shifts towards services - industry - agriculture. 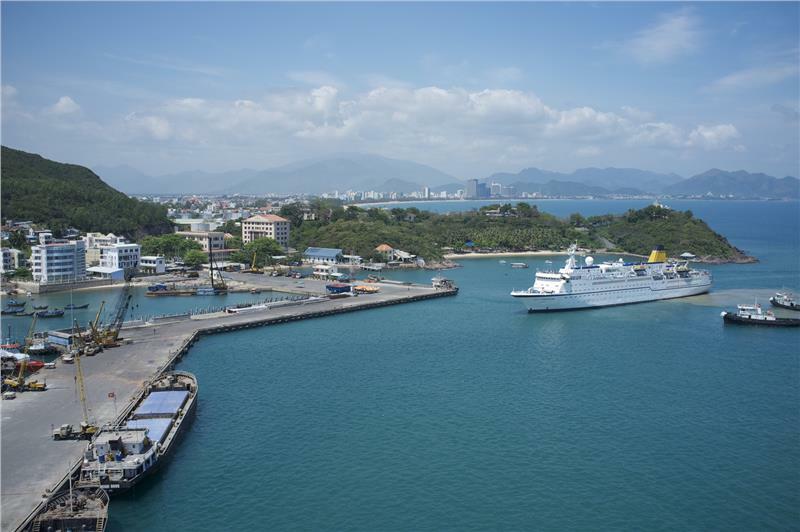 As the economic center of Khanh Hoa province, Nha Trang unceasingly has many significant contributions, and promotes socio-economic development in whole province. Accordingly, Nha Trang also contributed 82.5% of service - tourism revenue and 42.9% industrial output value for province budget structure. Trade - Services - Tourism plays an important role motivating urban development and bringing important position for Nha Trang. Especially, with the abundance and diversity of tourism, culture and entertainment activities, Nha Trang has attracted more and more both domestic and foriegn tourists to visit and enjoy their vacations. Education in Nha Trang began its development in 197, which the first training facility in university level was Coastal Community College. Currently, Nha Trang is home to 6 universities, 8 colleges, and 10 research institutes catering the training of local workforce. Regarding universal education, the city owns 116 schools with nearly 68,000 students, in which there are 41 elementary schools, 24 junior secondary schools and 12 high schools. 27/27 communes and wards meet national standards of primary education and junior secondary education universalization. 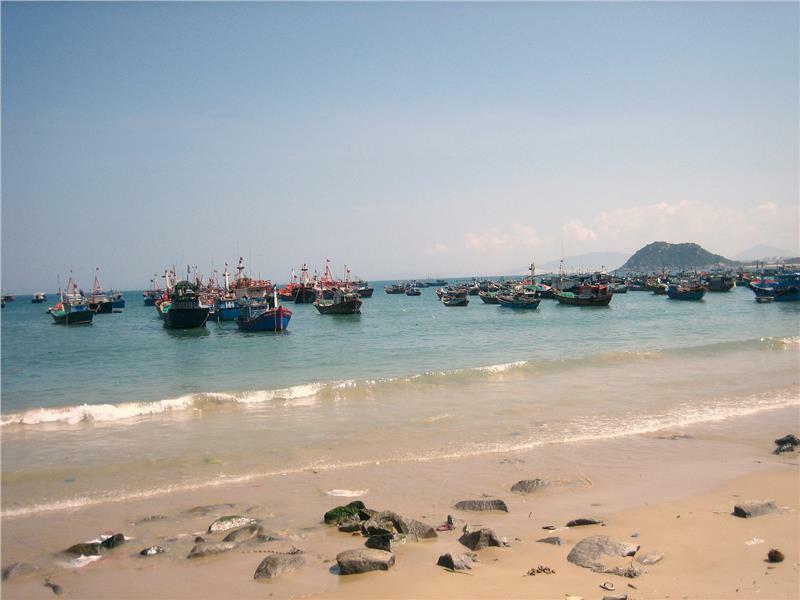 Thanks to its intact and pristine beauty, Van Phong Bay has been known to the large number of foreign tourists, in which Dam Mon is the first stop in marine ecotourism complex in the Bay. Beside dreaming mountain and sea scenery, Van Phong Bay retains romantic golden sands stretching tens of kilometers from Co Ma Pass to Hon Gom Island, forming wonderful natural beaches: West Beach, Lach Beach, Bua Beach, Xuan Dung Beach...Van Phong Bay is recognized as a national tourist zones and honored as one of the most beautiful landscapes in Asia and Far East by World Tourism Organization. 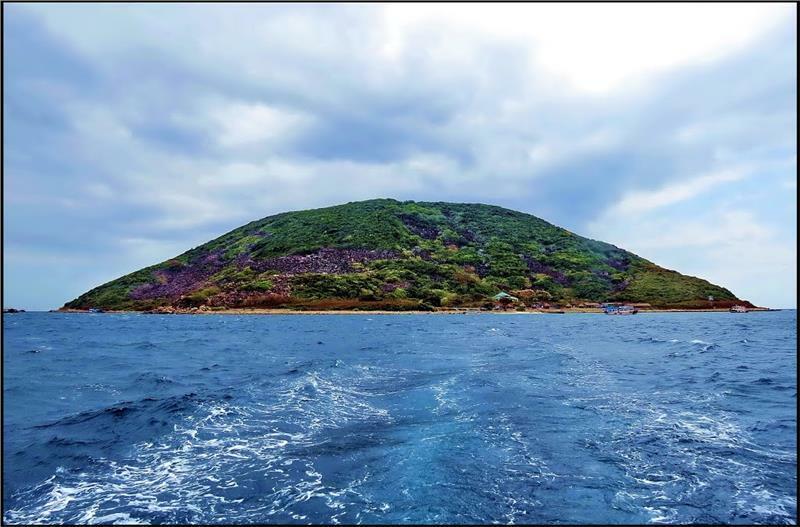 In additon, the city is home to many charming natural landcapes: Dam Market, Long Son Pagoda, Mountain Church, Nha Trang Oceanography Institute, Diamond Bay, Ponaga Tower...which will definitely attracts tourists once setting foot in here. 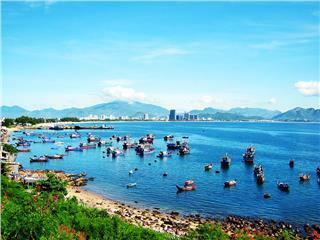 Along with beautiful natural scenery, festivals in Nha Trang strongly lure both dometic and foreign tourists. Thap Ba (Ponagar) Festival: Thap Ba Festival is the largest traditional religious festival annually taking place from 20 to 23 March (lunar calendar) to commemorate the Goddess Thien Y A Na – Holy Mother of the Cham community in the Central region. There are many Cham people’s traditional art performances during the festival, including dances with fans, ceramics and Apsara dances. Some of Cham’s cultural activities such as the brocading and making of ceramic products will also be introduced. Many sports activities and art performances featuring specific characteristics of Cham ethnic minority people will also be organized during the festival. Hung Temple Festival: The festival is solemnly held annually on 10 March (lunar calendar) at Hung Kings Temple, Nha Trang. The ceremony takes place with many traditional rituals. Leaders of Khanh Hoa province, Nha Trang city and many delegations offer incense, flowers and gifts to commemorate the founders of the nation. Nha Trang Sea Festival: It is a colorful and dynamic sea festival which honors natural beauty of Nha Trang - the charming city overlooking the sea. 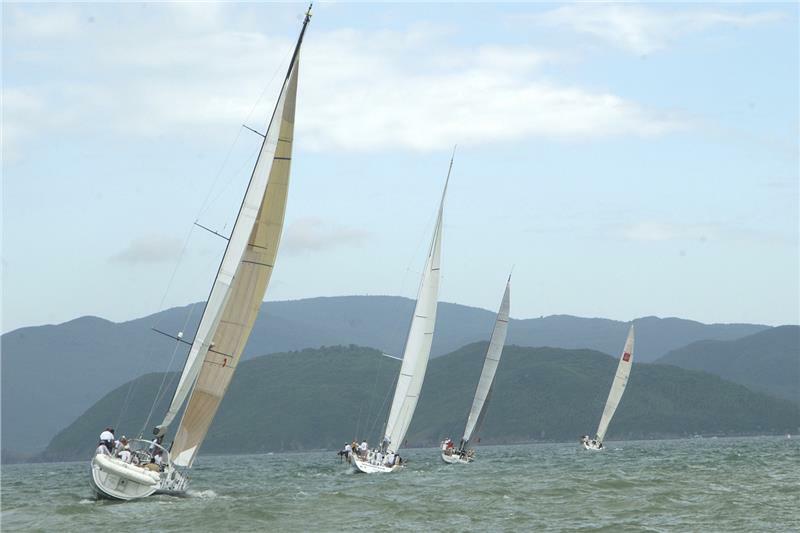 Held since 2009, Sea Festival is one of the most attractive Nha Trang festivals. It gradually becomes an annual festival in the city and is increasingly organized with much larger scale. 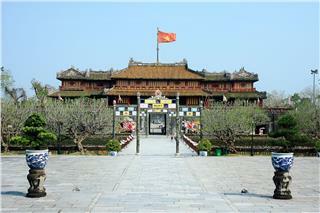 The festival is a place of cultural exchange between Vietnam and international countries. Many interesting activities also take place during the festival like seafood and international gastronomy competition, wine festival, beach volleyball, etc. 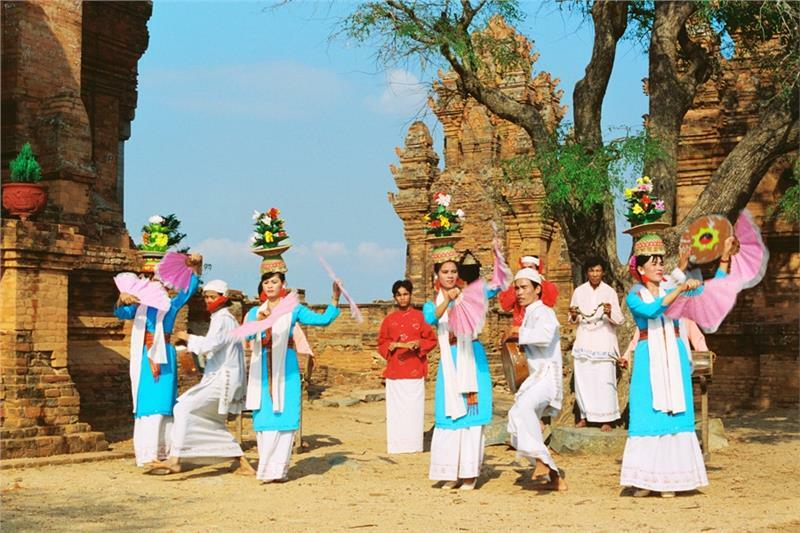 The festival is also a great chance for tourists to know more about Vietnam through special events such as Truong Sa Picture Exhibition, Khmer Cultural Exhibition, art kite flying festival, event of throwing lanterns on Cai River, human chess, and particularly traditional Fish Worshipping Festival. Beside fascinating festivals, Nha Trang also the home to unique festivals, namely Whale (Ca Voi, Ca Ong) Festival, Am Chua Festival and festival, Salangane Nest (Yen Sao) Festival...with many excellent artistic cultural activities. 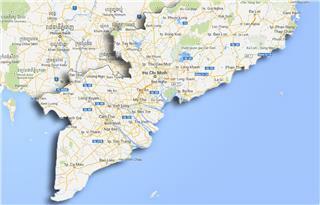 Why not check out our guide to Vietnam? 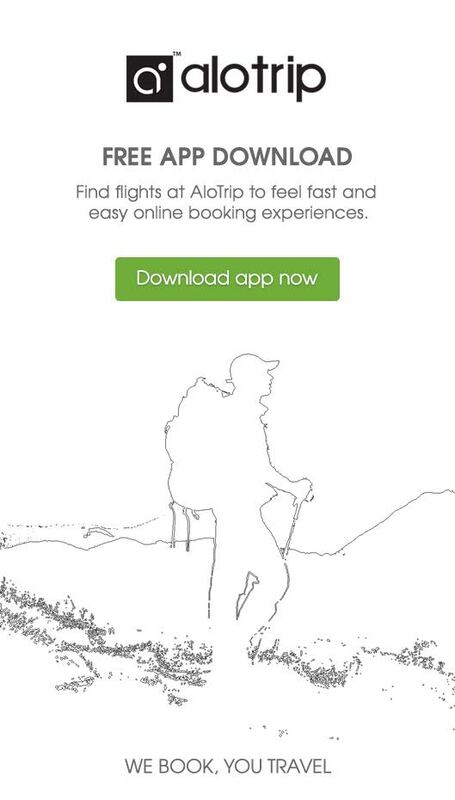 Or for more information on our flights to Nha Trang, simply call +84-243-868-8800.